Planting times: In cool climates, plant in spring, early summer or late fall. Fall plantings should be late enough so that seeds do not germinate until spring. Late fall plantings are advantageous when supplemental irrigation cannot be provided and adequate rainfall is anticipated in the spring. This mix can also be sown in early fall provided that there are 10-12 weeks of growing time before the plants go dormant for the winter. In mild climates, plant during the cooler months of the year; fall through spring for best results. 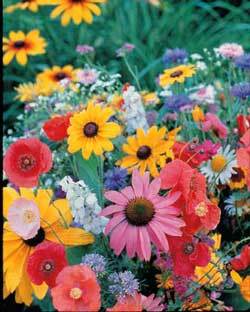 Fall plantings done prior to periods of rainfall will insure an early display of flowers the following spring. 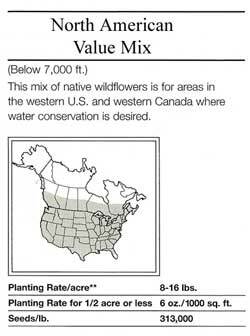 Planting range: Throughout all of North America and southern Canada excluding the southernmost tip of Florida.